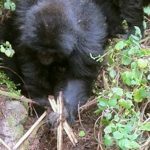 Rwanda’s tourism potential is at a rise, with the country receiving more and more tourists, flocking the country to see gorilla in the Volcanoes national park. 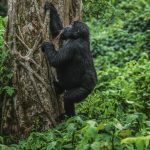 The rare endangered mountain gorillas have placed Rwanda on the world travel map, competing along side most sought destinations like the he Big Five African countries that are the most frequently listed for 2015 include South Africa, Morocco, Tanzania, Namibia, and Tunisia. 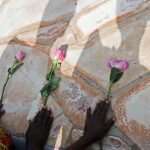 According to the combined 15+ publications’ travel listings reviewed, Egypt, Mozambique, Rwanda, and Zimbabwe are each selected more than once adding them to the most favorite. Mountain gorillas of central and East Africa are the only remaining ones in the world and one of the world’s strongest and mightiest creatures live only in Rwanda, Uganda and DR Congo, living in four national parks – Volcanoes National Park, and Virunga National Park, Bwindi Impenetrable Forest National Park, and Mgahinga Gorilla National Park. 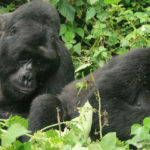 As the year sets off and marketing strategies are being planed for the year 2016, its caught the attention of Rwanda tour operators about the issue of high prices of the Rwandan Gorilla tracking permit. 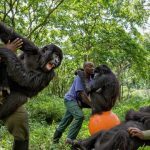 When comparing the cost of a gorilla permit vs other mountain gorilla destinations like Uganda and Congo. 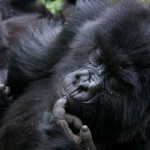 As of 2012, Rwanda doubled the price of her gorilla permit to $1500 all year round, yet other gorilla destinations are offering lower cost of a gorilla permit and even discounted rates for low season months for neighboring Uganda. 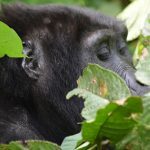 In Uganda, therefore, there is a discount on gorilla permits for trekking Uganda gorillas in April, May and November (low season months) and $600 in other months (high season). In DR Congo, a gorilla permit goes for $200 in the low season while in high season gorilla tracking permits go at a cost of $400 in DR Congo. Today a Rwanda gorilla permit for foreign non-residents costs $1500, foreign residents $375 while Rwandans part with Rwf30,000 to go watch mountain gorillas in Rwanda’s volcanoes national park. However the head of tourism at RDB, Karasira refutes the argument, that the numbers of Rwanda’s tourists have nothing to do with the Rwanda gorilla permit cost, but rather the marketing strategy and willingness to pay from consumers. 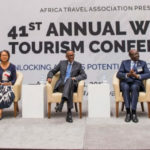 Rwanda opted for the high-end strategy but as years go by, her tourism is becoming more and more popular with a progressive increased demand. 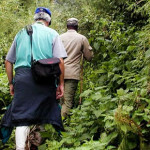 The RDB further explains that Rwanda has done a lot in terms of mountain gorilla conservation and, therefore, to trek gorillas in Rwanda is predictable and guarantees to watch the gorillas. In addition, the current trend from tourists is to have diverse experience in a limited period of time and manageable distance. Karasira refuted the notion that because of a more costly Rwanda gorilla permit, Rwanda would lose out on increased tourist inflows as the latter opt for Uganda or DR Congo. He defends this with a comparison difference – of only $100 between Uganda and Rwanda permit.